Just as the Jefferson Nickel five-cent coin saw the removal of nickel from its composition in 1942 to preserve the metal for artillery production, so, too, did Lincoln Wheat Penny coins in 1943. Copper was completely eliminated from the denomination’s composition, in favor of a one-year-only type featuring a zinc-plated steel composition. These “steel cents” or “steel Pennies” as they are commonly called, were quite unpopular when they first were released. Today, however, many coin collectors and non-collectors alike regard 1943 Pennies as something of a novelty. What needs to be remembered, though, is that 1943 steel Pennies are not rare – in fact, they are quite common, with more than 1 billion produced across all three mints operating in 1943: Philadelphia, Denver (D), and San Francisco (S). 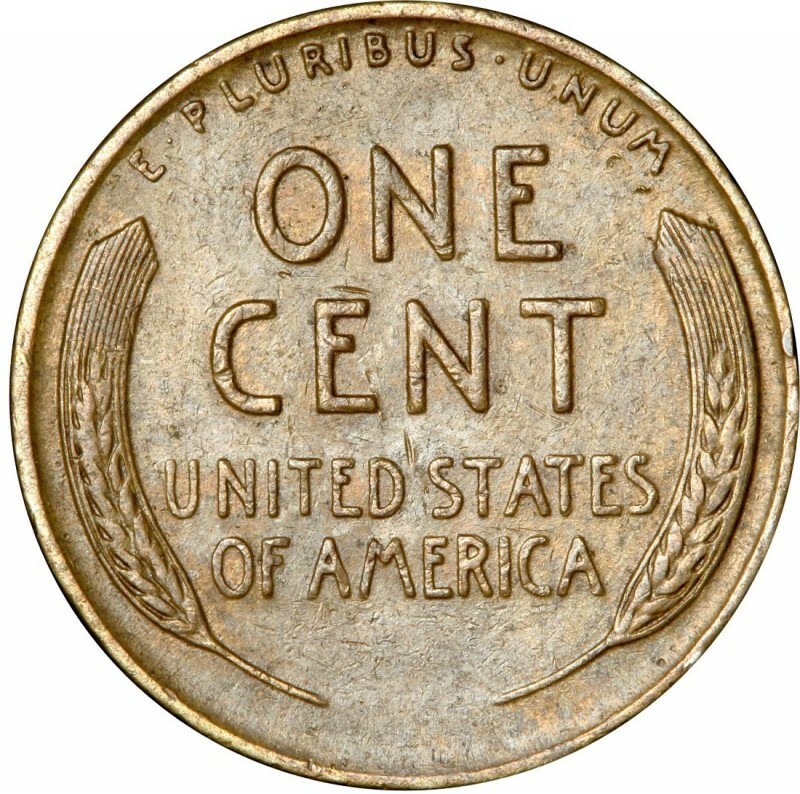 While 1943 steel Pennies are about as common as any other 1940s Lincoln cent, there is one variety from 1943 that stands out for its rarity: the 1943 bronze Lincoln Wheat Penny. Approximately 30 to 40 1943 Pennies were inadvertently struck on 1942 bronze coin Planchets. This minting error has resulted in a coin that is worth around $100,000 and is currently the most expensive Penny in the realm of coin collecting. Regular 1943 steel cents, on the other hand, can be had for between 10 cents and $1 each in circulated grades, and for about $3 to $5 in uncirculated grades. There are also “reprocessed” steel Pennies, which are essentially 1943 steel Pennies that had become corroded (due to the rust-prone nature of their steel core) and later stripped of their original zinc coating, and recoated with a fresh layer of zinc. These are numismatically worthless since they are altered coins. Nevertheless, they are a cost-effective alternative to buying uncirculated 1943 Pennies and are popular in the non-numismatic market. 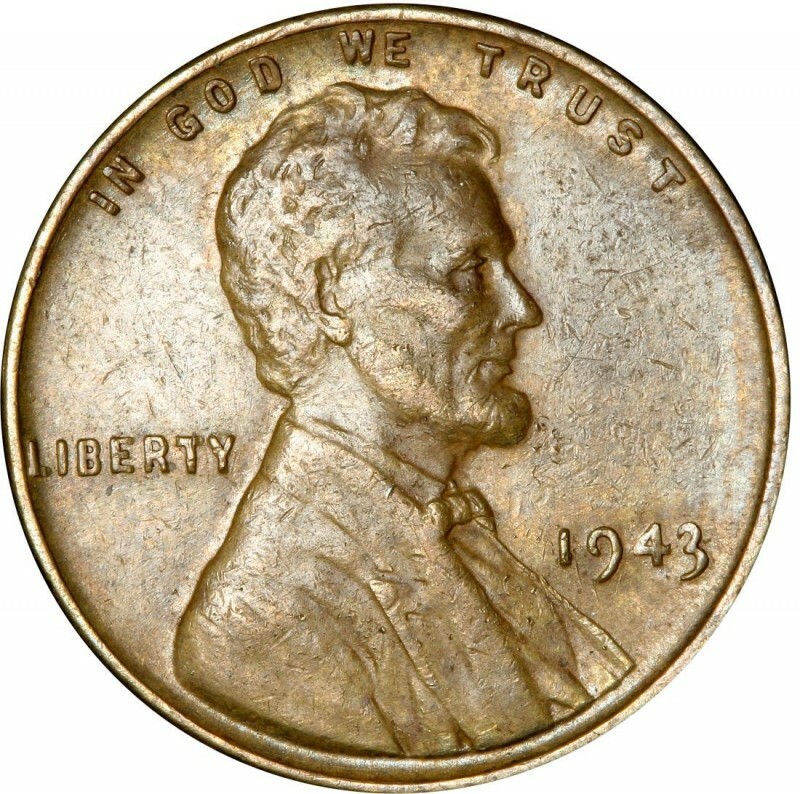 No proof Lincoln cents were made in 1943, nor would any proof coins be struck again by the United States Mint until 1950. The images aren't coming through unfortunately. Would you please try and repost these images here? Orlando, if you have attachments it's better to post in our forum: https://coinvalues.com/forum. This comment section is dedicated more to general commenting. I have 1943 steel wheat pennies among many others,have no access to internet much,am wondering if theyre worth more than face value? As you can see in this article, 1943 steel Wheat Pennies are not worth much more than face value. Depending on how heavily circulated the coin is, you could get between 10¢ and $1. The magnet test verifies rather or not a 1943 cent is made from steel or copper, not rather or not it is authentic. If your 1943 penny DOES stick to a magnet, it is made from steel and is worth 10 to 50 cents. If your 1943 penny does NOT stick to a magnet it may be a copper cent error that is worth $85,000 or more. Hello, I am trying to figure out where do I share the photo, of my 1944 Penny minted in Philly andif it has any value? You can use the upload file icon below the text entry box, or post in our forum. I just wanted to know, How can you tell if you have a steel penny, or a bronze penny? I have a 43 s copper looking penny on one side, steel on the other. How can I find more info on this coin? 1943 pennies are indeed steel. If one side has a different tone than the other it is most likely due to exposure to something or deliberate alteration.